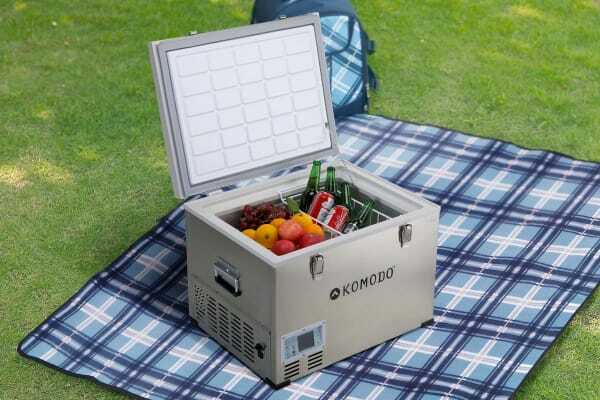 Keeps food and drinks cool on the go! 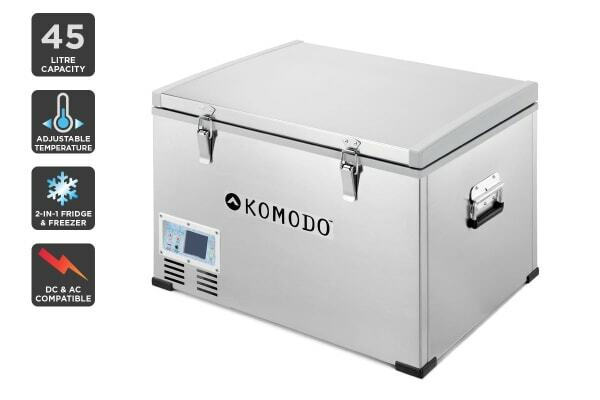 This portable fridge and freezer is perfect for road trips and camping, helping your food stay fresh and cool no matter where you go. 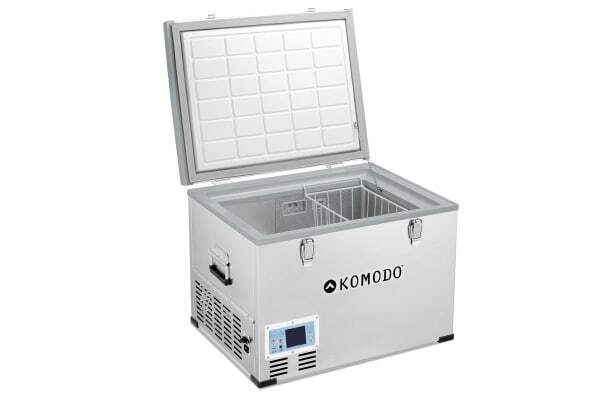 More convenient than an esky that constantly needs to be refilled with ice, the Komodo 45L Portable Fridge and Freezer is a must-have for every journey. With its stainless steel shell design and simple to operate control panel, the convenient nature of this 2-in-1 fridge and freezer is just what you need to store all of your food and beverages at the right temperature – or for keeping your haul fresh after a fishing trip!